November 6 - 10, 2018, 7:30 p.m.
November 11, 2018, 2:00 p.m. 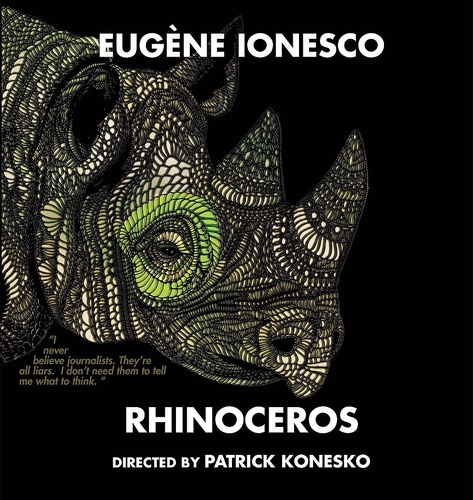 Regarded as one of the landmark plays of the 20th century, RHINOCEROS explores how extreme social conformity and self-delusion can lead even the most civilized among us to turn into mindless savages. Full of biting wit and nightmarish anxiety, RHINOCEROS reflects Ionesco’s youthful flight from Romania, as more and more of his acquaintances there began to adhere to the fascist Iron Guard.